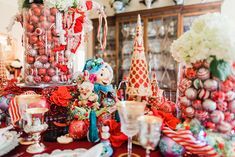 Welcome to The ULTIMATE and BEST Christmas Events and Activities in DFW for 2017. I’ve spent hours curating, updating and adding to this collection and I’m proud to bring this post to you for the sixth year in a row. I hope you enjoy building precious memories with your family from the list below. GIVEAWAYS!!! GIVEAWAYS!!! GIVEAWAYS!!! 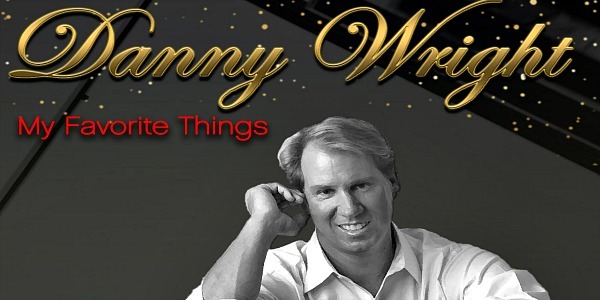 Enter to win TONS OF FABULOUS PRIZES!!! Fourteen giveaways valued at over $1500 are listed below. 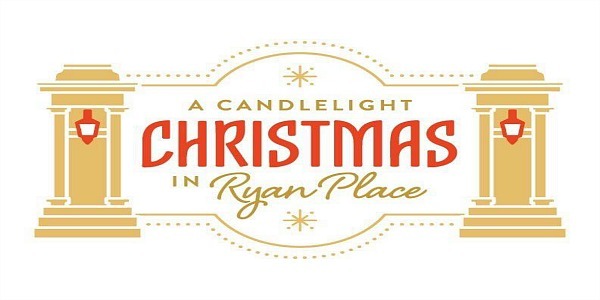 The 34th annual Candlelight Christmas in Ryan Place features five festively decorated homes. 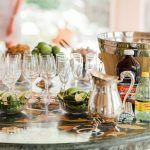 This tour features homes from a 1919 treasure, to beautiful homes from the 1920’s, 1940’s, and even a mid-century traditional ranch style home. This year’s home tour has many different examples of period architecture for everyone to enjoy. 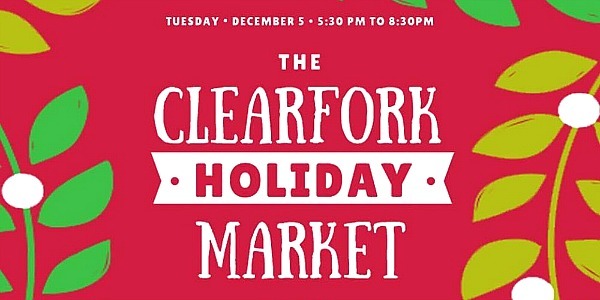 Visit The Shops at Clearfork for a Clearfork Christmas! 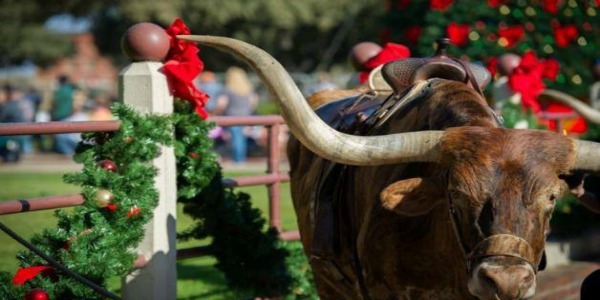 Enjoy a fun-filled day with carriage rides, hot chocolate bar, face painting, Texas Boys Choir performance, Santa’s arrival and meet the ballerinas of the Texas Ballet. Classic Tea Parties at 11:00 AM and 2:00 PM (RESERVATIONS REQUIRED). 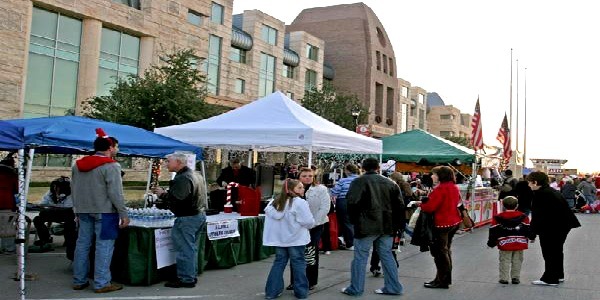 Shop a wide range of local merchants and artisans vendors at the second-annual The Clearfork Holiday Market. This free, family-friendly evening event features festive fun with Santa Claus, Reindeer, Music, a North Pole Mailbox and More! Holiday food and beverages available for sale from Central Market, Dough Boy Donuts, and The Beignet Bus. 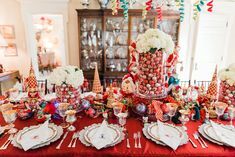 This Gingerbread Decorating Extravaganza has become a holiday tradition cherished by many in Fort Worth. Friends and families gather for fun and festivities, and the patients of Cook Children’s Medical Center are the beneficiaries. Join Santa, Mrs. Claus for an afternoon of crafts, games, story time, holiday treats and a Christmas movie! 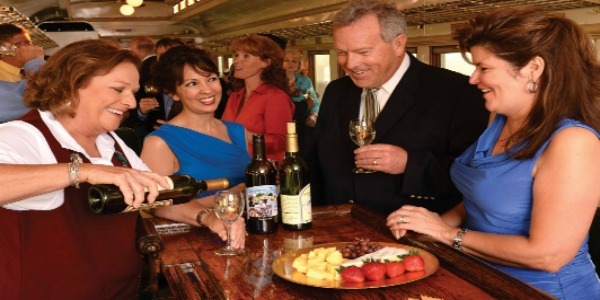 Christmas Wine Train: Historic Stockyards: 130 E. Exchange Avenue 76164 Climb aboard this vintage train for a grown-up Christmas event! 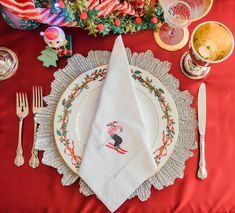 Guests will enjoy a special dinner, complimentary wine served in a souvenir glass. Riders must be at least 21 years of age. December 7, 2017; 7:00 PM SOLD OUT! Enjoy hot chocolate and wintry hands-on activities at the Polar Pajama Party. Immediately following the party, snuggle up to watch The Polar Express IMAX film. Various Mornings and Evenings beginning November 25 through December 10, 2017. 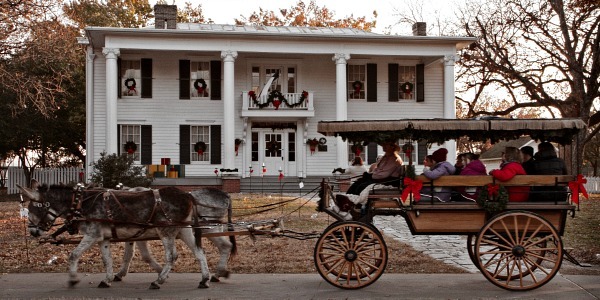 On Friday and Saturday evenings, families and friends will enjoy free horse-drawn carriage rides around Crockett Row. 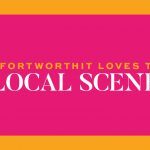 Community and local choirs, vocalists and musicians will also perform from Crockett Square on the weekends. 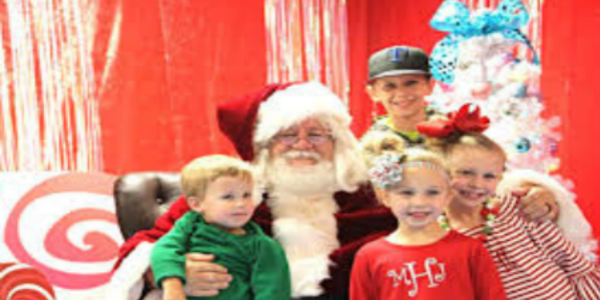 Santa will make appearances December 9 and 23. 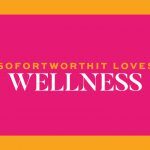 Participate in the gift drive benefitting SafeHaven Fort Worth December 9-18. 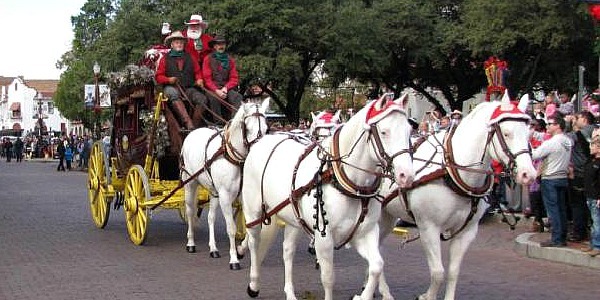 Carriage rides Fridays and Saturdays November 25-December 30; 6:00-9:00 PM. 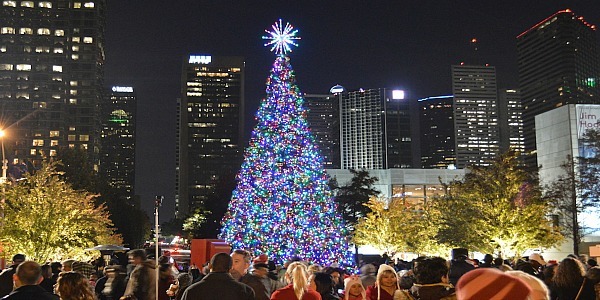 Start off the holiday season with the Sundance Square Christmas tree lighting. 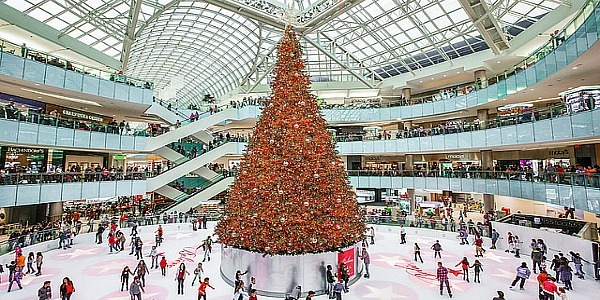 See the spectacular 65 foot Blue Spruce come to light surrounded by decorative water fountains. Also in the Square are the four giant umbrellas covering more than 6,400 sq. ft. as they provide beautiful lighting displays after dark. 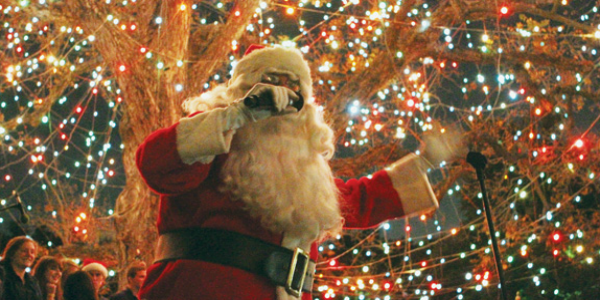 Don’t miss many FREE special events including holiday choir performances, concerts and Santa. 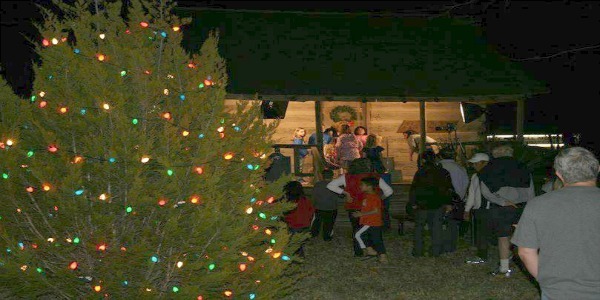 Bring your boat or watch boaters participate in this annual Christmas lake tradition. 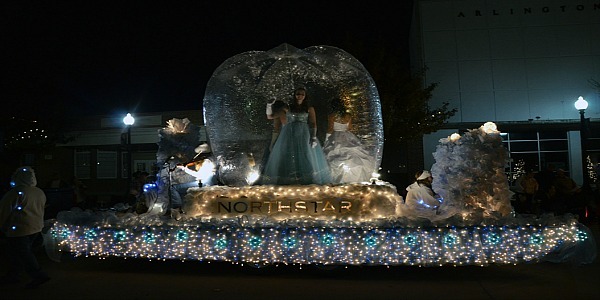 The Parade of Lights will include prizes for Best Decorated Boat in three different categories and Best Costume. The parade will start at Eagle Mountain Marina and end at the Fort Worth Boat Club. It’s the most dazzling time of the year! 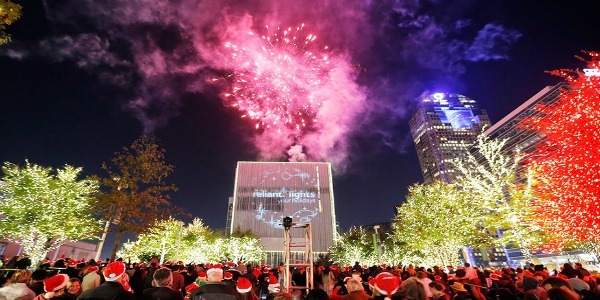 With millions of sparkling LED lights, Lights come on at 6:00 PM on November 24 as the Mayor of Addison flips the switch! There are special events and performances on select evenings. 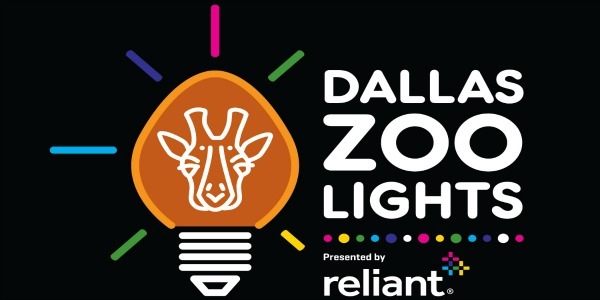 Be sure to attend and make Vitruvian Lights a family tradition. 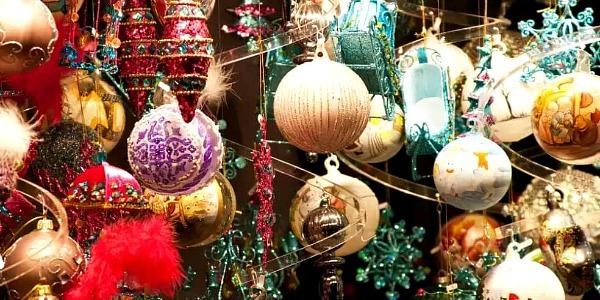 The 40th annual Arts & Crafts Fair launches the holiday season and continues as a tradition. 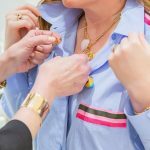 Shop at this day-long festival for unique and one-of-a-kind gifts from 50+ vendors! 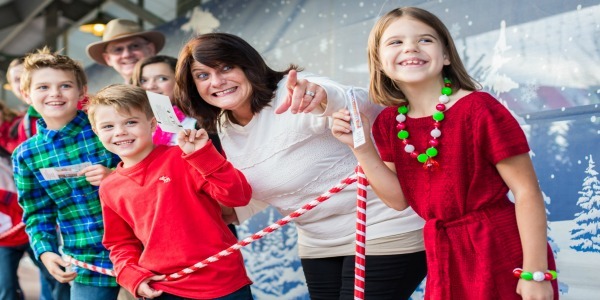 Celebrate the 17th Annual Christmas Tyme in Aledo with holiday fun, food, and entertainment for all ages. Lots of attractions are scheduled in and around downtown and local storefront businesses will stay open late, providing activities and refreshments for visitors! Santa and his reindeer will be stopping by again this year! 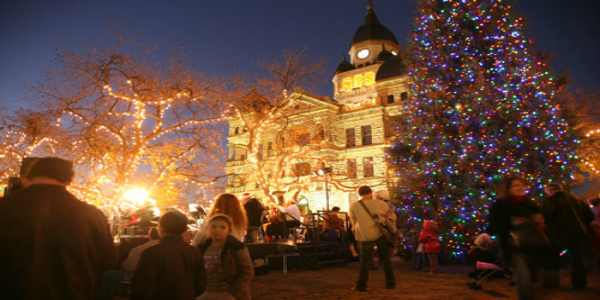 Bring your friends and family and enjoy all that Aledo has to offer this holiday season! PS- Pop into The Bird’s Nest, they have great gifts for girlfriends and more! 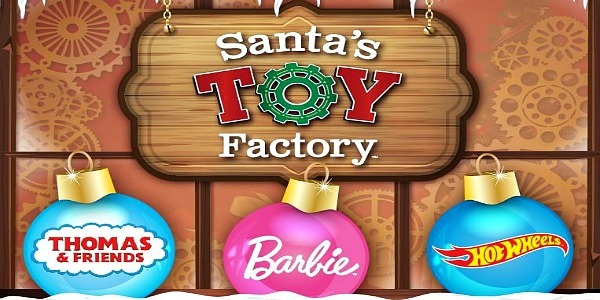 Check out Santa’s Toy Factory! You can test new toys and even digitally design your own! Get the Fast Pass to see Santa. There will also be a special PJ Nights where you can visit Santa and take photos. 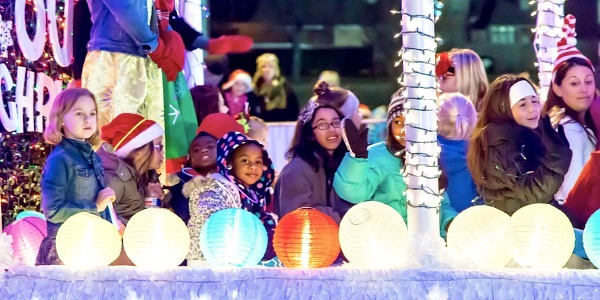 Bring your friends and family to the Downtown/University District to enjoy the Annual Holiday Lights Parade. See and hear the pageantry which ends with the lighting of the Christmas tree on the steps of City Hall. Don’t forget to bring your camera and take a picture with Santa after the parade at the Levitt Pavilion in Founders Plaza at 100 W. Abram St. Pre and post-parade activities include music, food, vendors, and a screening of the movie “Elf”. 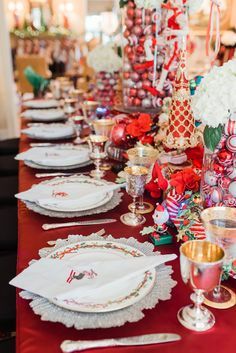 120,000 lights, 3,000 yards of multicolor garland, 50 Santa Claus’s, 30 Christmasmas trees, and two model trains that travel 635 feet throughout the entire restaurant and bar. You will find a world of enchantment at this wondrous Christmas extravaganza! 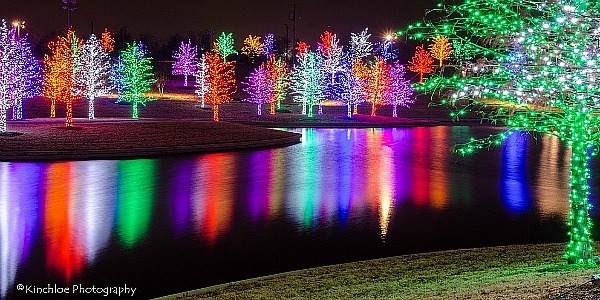 Visit the most scenic wonderland in Texas with 2 million lights as well as the largest Christmas tree in North Texas. Make lasting memories as you glide along on the skating pond or navigate your way through the world’s largest maze. The children will enjoy the mini maze. Shop and take in the live entertainment. 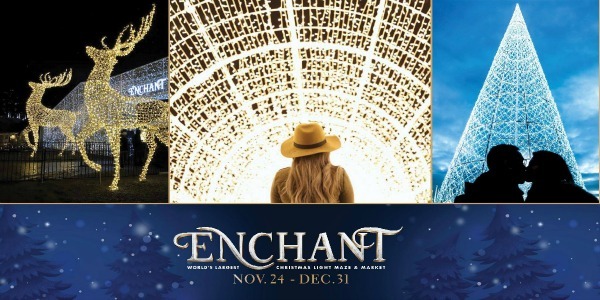 Enchant offers something for everyone and even includes a VIP experience you won’t soon forget. This is definitely A DON’T MISS!! There are a limited number of tickets for each night, so book early. Take a tour behind the scenes at Globe Life Park and tell Santa what’s on your wish list this year. Enjoy a one hour guided tour of the ballpark where you will see areas like the home dugout, batting cages and more. 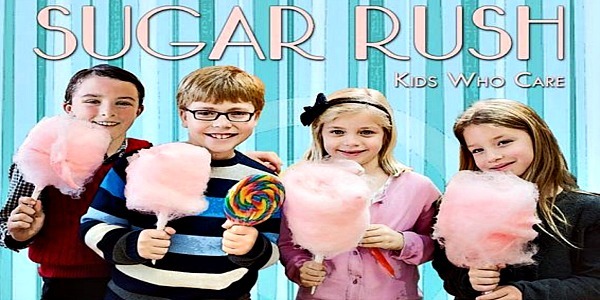 Access to the Kid’s Zone play area and yummy sweet treats are included. Prepare for the SCARE!! 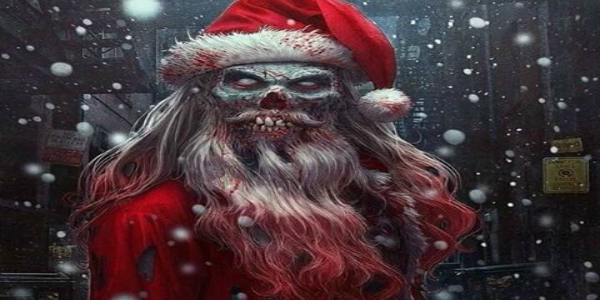 Moxley Manor has been overrun by evil elves and the legend of Krampus. Celebrating its eighth year, this haunted house with a twist won’t disappoint. Winter Wonderland will come alive as it bursts into a display of twinkling lights & holiday decorations. Capture the spirit of the season immediately following the annual Christmas Tree Lighting and Fireworks Show at Dutch Branch Park. 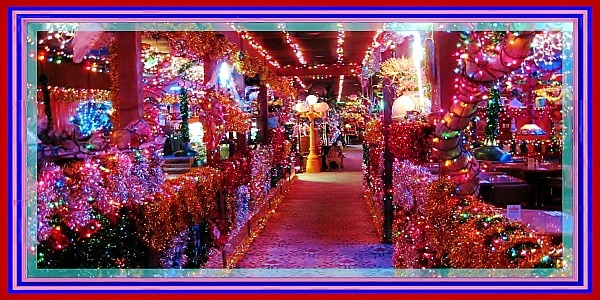 Follow the tunnel of lights and you’ll wind up at the new “Vernon Castle” display. The Christmas illumination runs every evening through the New Year. Bring the whole family to this popular celebration! 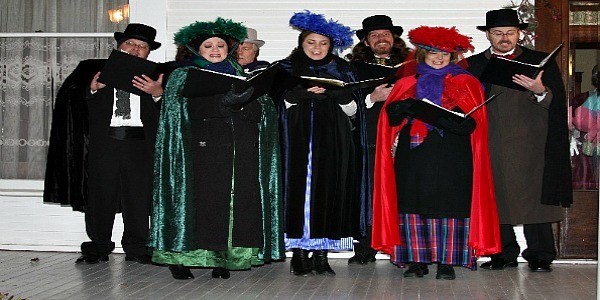 Victorian carolers and Santa Claus will be spreading holiday cheer. 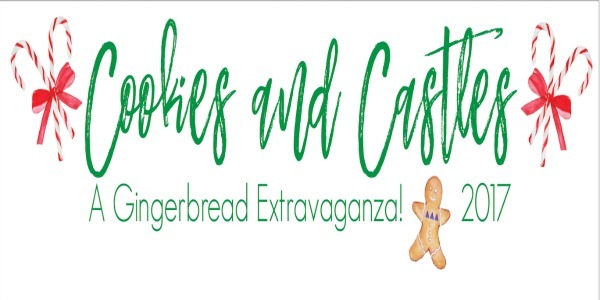 Enjoy cookies and ornament making at our annual event to welcome the season! 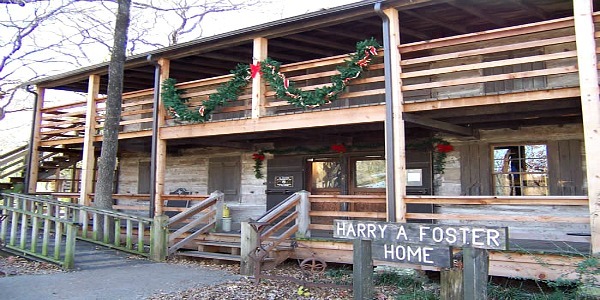 Walk through the historic 1909 home to see its festive decorations. Informal tours are available throughout the evening. Experience over 30 attractions and the Biggest Backyard in Texas with the New Texas Tubin’ Hill. 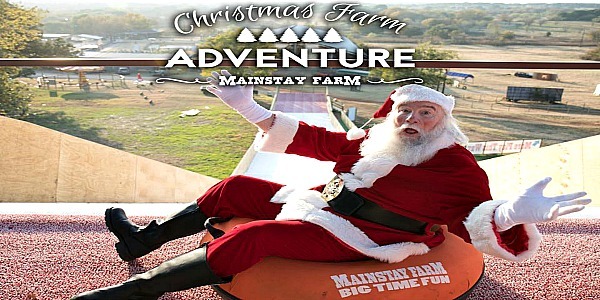 VISIT SANTA in the Barn! Roast marshmallows at Santa’s S’more Station, scour our field for the perfect tree for your home or go into our 30,000sq feet big barn and shop the imported trees while supplies last! Don’t miss going in the Haymarket for the ornament selection and Christmas decor and Christmas gift shopping. 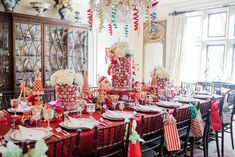 Homes for the Holidays, the primary fundraiser for the Armstrong Bradfield Preschool Association, highlights 4 of the most spectacular dwellings in Highland Park and University Park. For 46 years, Candlelight has been a tradition among families. 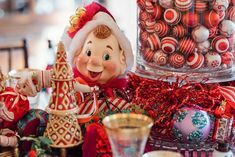 With 13 acres of decorated buildings, flickering candles lining the paths, strolling carolers, carriage rides, and crafts for those young and young at heart, Candlelight captures the holiday spirit for all. 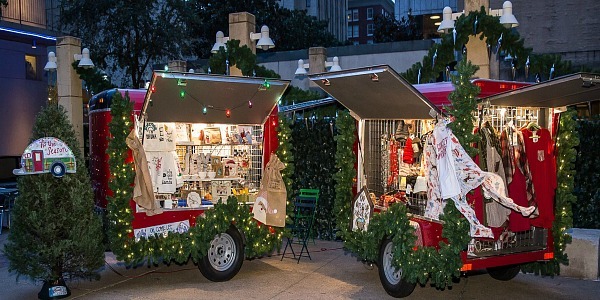 Celebrate the holidays beginning with this fun day at Klyde Warren Park! Activities include kids’ crafts, face painting, food trucks, FREE photos with Santa and Mrs. Claus, and a mailbox to send letters to Santa. There will also be as well as big band entertainment. 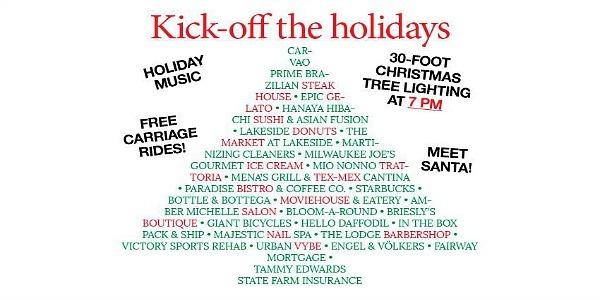 The height of festivities is the Christmas tree lighting at 6:00 PM. 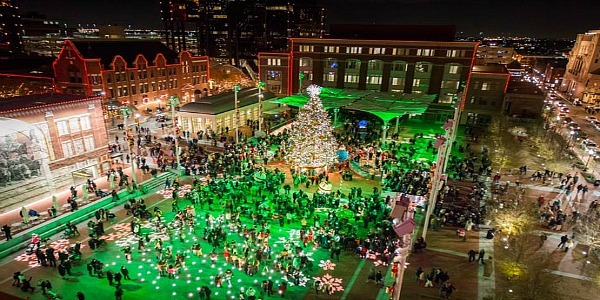 The entire SMU and surrounding communities gather for this joyous occasion to watch the famous Dallas Hall light up with thousands of lights in all its wonder. 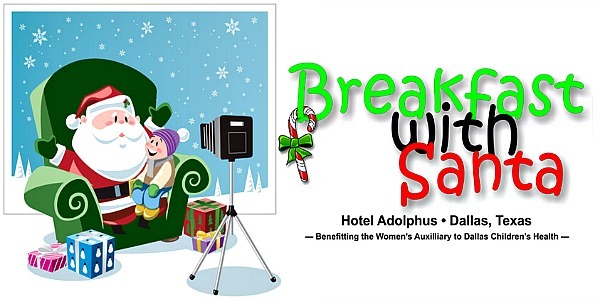 Our program begins with hot cocoa and cider accompanied by warm cookies to comfort everyone amidst the cold December of Dallas. 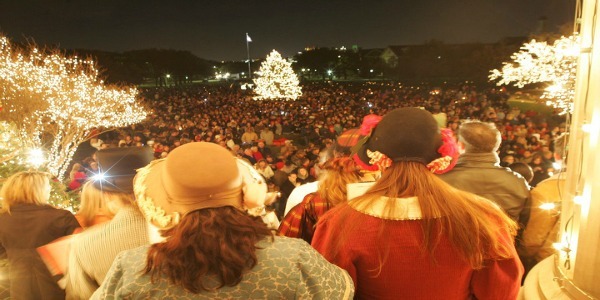 People proceed to gather on Dallas Hall Lawn and listen to carols performed by SMU students. SMU’s President, R. Gerald Turner, reads the Christmas Story from his own family Bible! 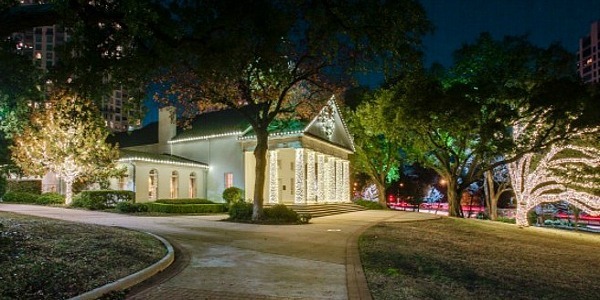 Upon the conclusion of the Christmas Story, Silent Night ends the program with the lighting of SMU’s stunning Dallas Hall and its surrounding trees. Festivities include photographs with Santa Claus, face painting, balloon artists, character appearances, clowns, magicians and much more. 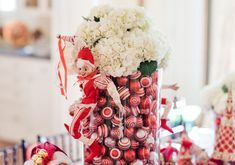 Christmas at the Anatole is proud to feature new this year Peppermint Park! 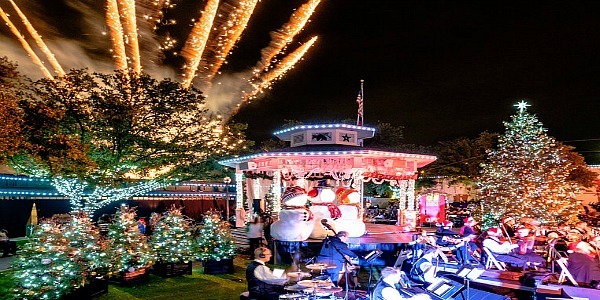 Activites will take place at the Anatole park and will feature games and activities for kids, visits with Santa Claus, holiday shows, train rides around the park, marionettes, light displays and more! This year’s event will feature spirited marching bands, famous characters, magical holiday floats, larger-than-life balloons and much more. 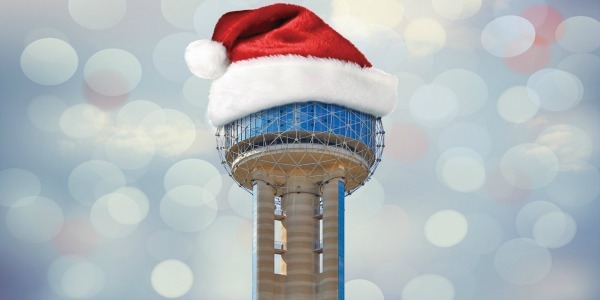 Be a part of history as you celebrate the oldest Christmas tradition in Dallas County. 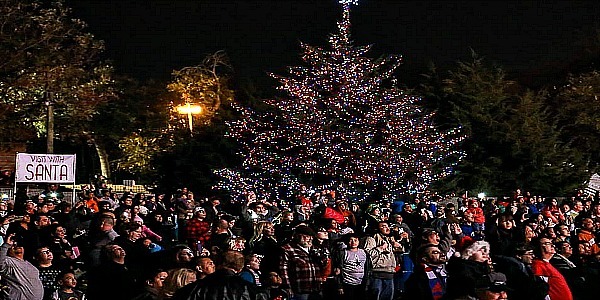 See the 5,000 red, blue, orange, and green lights as they illuminate the “Big Pecan Tree”. The celebration begins at 6:00 PM with live reindeer, Christmas treats, photo bus, and face painting. At 7:00 PM, the lights come on! The ceremony concludes with Santa arriving on a big red fire truck. Enjoy complimentary carriage rides, photos with Santa and Mrs. Claus in, face painting, live musical performances at the annual Highland Park Village Holiday Celebration. 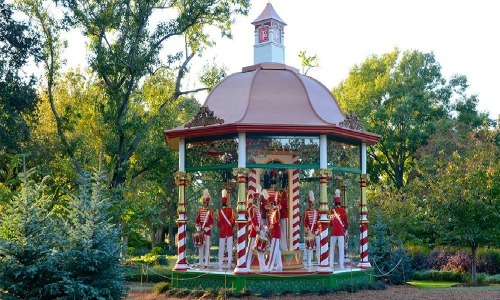 The Dallas Arboretum and Botanical Garden present Holiday at the Arboretum featuring the return of the magnificent 12 Days of Christmas outdoor exhibit. 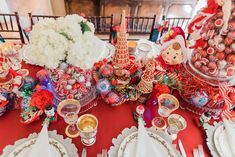 The DeGolyer House features a new “Nutcracker Suite” exhibit, with a collection of more than 800 nutcracker figures on display throughout the historic home. The garden re-opens for evening hours for 12 Days of Christmas at Night exhibit, which is on display Wednesday through Sunday beginning November 8 through December 30. 500,000 lights illuminate the garden, architecture of the historic homes and light the canopies overhead-including a 30-foot-tall tree at the center of the property. 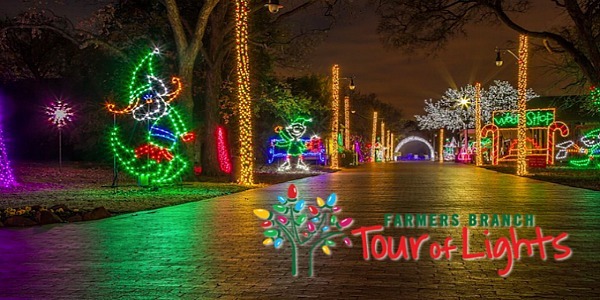 Special Holiday Events and Activities: Elves’ workshop, karaoke, visits with Santa, photobus and much more will round out your adventure to the Dallas Arboretum. Be sure to make RESERVATIONS for the special activities! 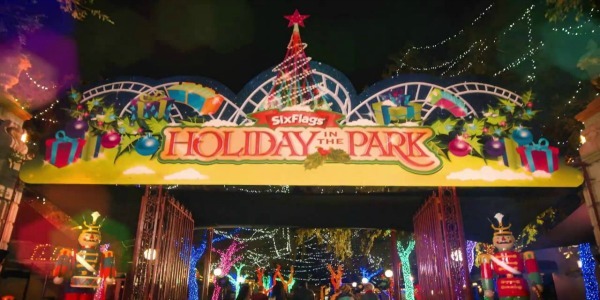 Holiday Wonder makes its debut at Fair Park! You will marvel at this walk-through winter wonderland created with holiday-themed Chinese lanterns. The more than two million lights bring to life holiday favorites in giant illuminated eye-catching displays, including Santa Claus, beautiful floating swans, perennial holiday favorites, and more. 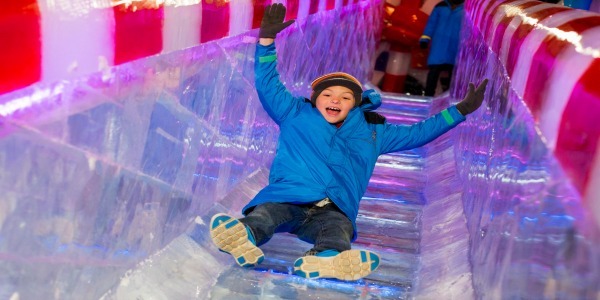 Make unforgettable holiday memories as you enjoy the two-story Santa’s Arctic Slide; snowball throwing; music, dance, and world-class acrobatics show. Since 1987, the Trains at NorthPark have been delighting the hearts and minds of young and old alike. 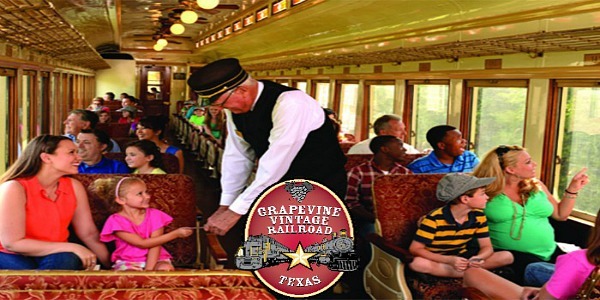 This holiday family tradition has become a favorite for generations of Dallasites and includes 1600 feet of track rolling from coast to coast on a whimsical rail journey across America. The Trains travel from the autumn foliage of New England to San Francisco’s Golden Gate Bridge with stops in New York City, Washington DC, Dallas, and the Grand Canyon. 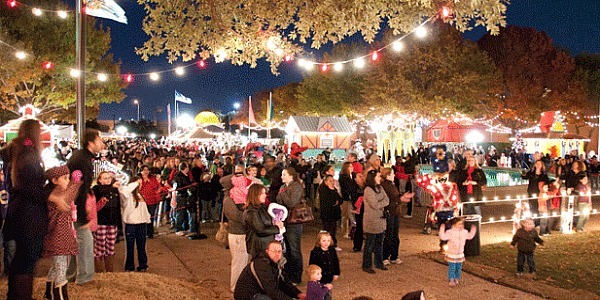 Bring the family for one of Denton’s most beloved holiday traditions! There will be plenty of live local music, food, family fun and joyful holiday spirit for this one-of-a-kind community event! The event is free with some food and activities available for purchase, all we ask is that you bring a toy for our toy drive benefitting Elves Shelves. 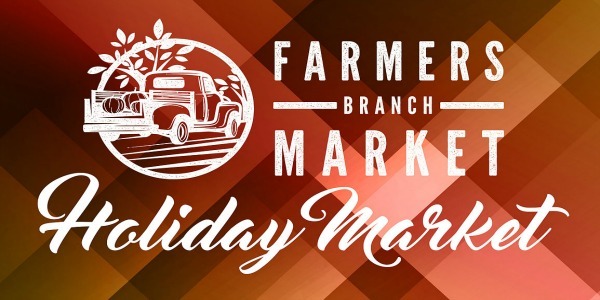 Shop for handmade and vintage gifts and other unique items at the outdoor Holiday Market with over 70 vendors. There will be live holiday music, Santa Claus, food, drinks, and lots of shopping. 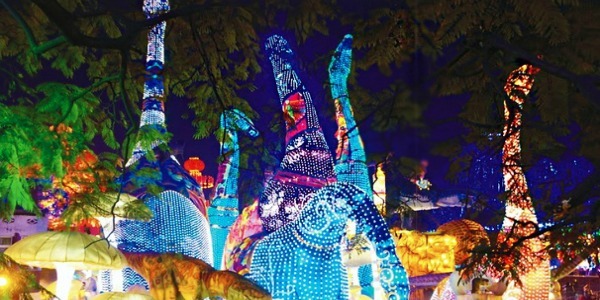 Drive through this amazing animated display with over 500,000 twinkling lights. You’ll travel through a variety of different scenes, each with their own theme, from fantasy to patriotic. The finale includes festive holiday music, animated holiday show, and Santa’s arrival. 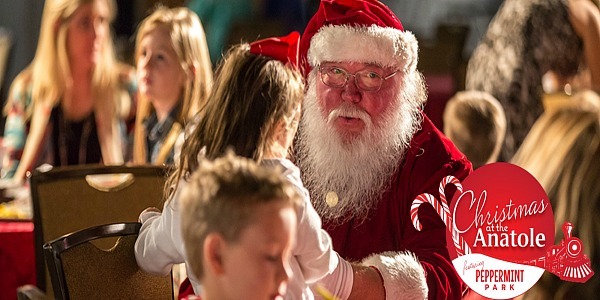 This fun-filled evening includes a fabulous fireworks show, children’s activities, tours inside the festively decorated historical structures, refreshments, and of course, Santa will make an appearance. 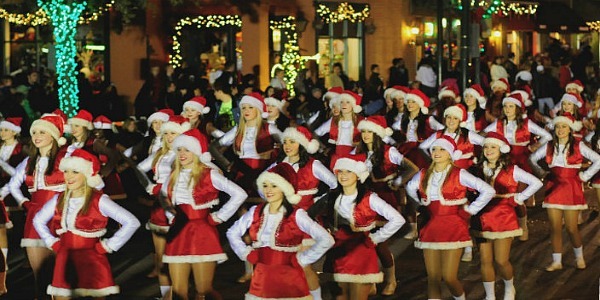 Join the Town in celebrating its 28th annual Christmas Parade! The parade celebrates “Christmas Around the World” and ends with the Christmas tree lighting ceremony. 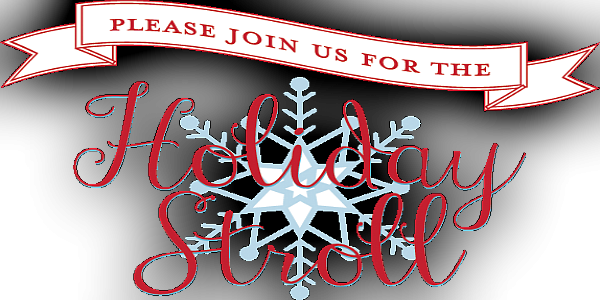 Fun activities include carriage rides, photos with Santa, food trucks, kids activities, and choir performances. Join Lakeside Plaza for the lighting of Lakeside’s 30-foot Christmas tree and the season-ending Lakeside Music Series. Other activities include live reindeer, treats, crafts, train rides, Santa, and carriage rides! 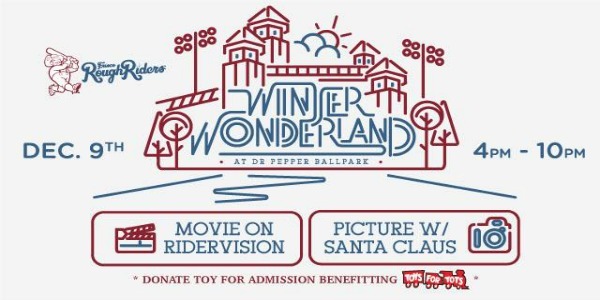 In conjunction with Toys for Tots, the Frisco RoughRiders are hosting the club’s inaugural “Winter Wonderland” at Dr. Pepper Ballpark. 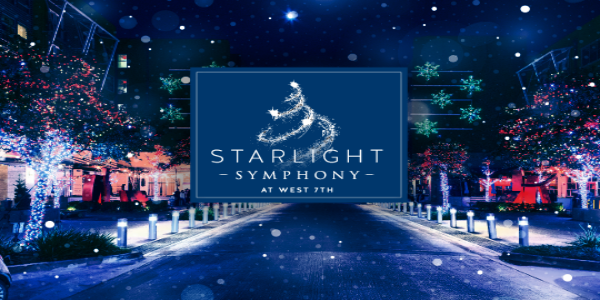 The free-to-attend, open-to-the-public event will feature carriage rides, the Vocal Magic carolers, and visits with Santa and Mrs. Claus, accompanied by their reindeer. 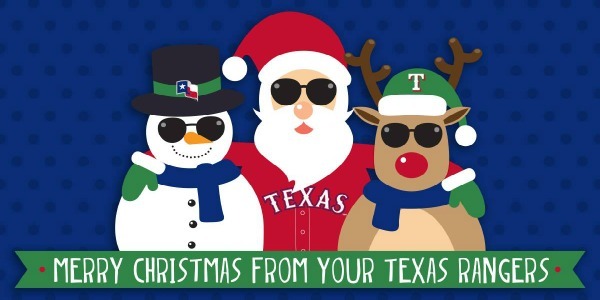 Beginning at 6:30 p.m., RiderVision, the state-of-the-art video board at Dr. Pepper Ballpark, will screen Christmas classics. Enjoy a beautiful evening on Main Street with fun activities for the whole family! Santa will be there for photos, children’s choirs will perform, share holiday treats, and kids can shop at the Holiday Kid’s Store. 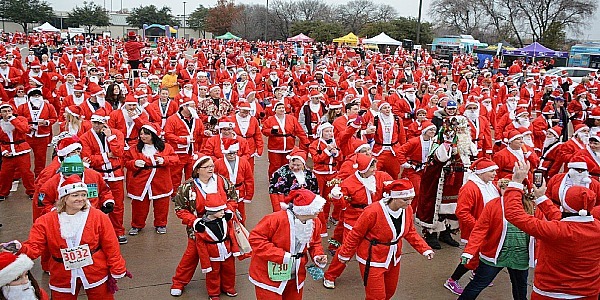 Gather your kids, friends, and the family pet for Santa Run Texas, a 5K Fun Run/1-Mile Walk where all participants dress up in a five-piece Santa suit (included with your registration). 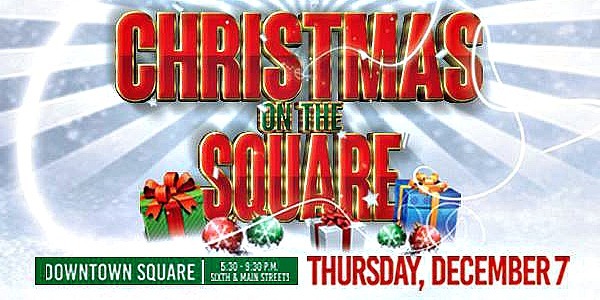 Come be a part of the Christmas cheer with your friends, family, and community at Christmas on the Square. 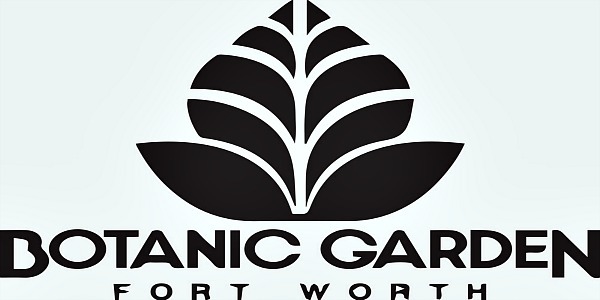 This FREE fun-filled evening of festivities will occur at the historic Downtown Garland Square. 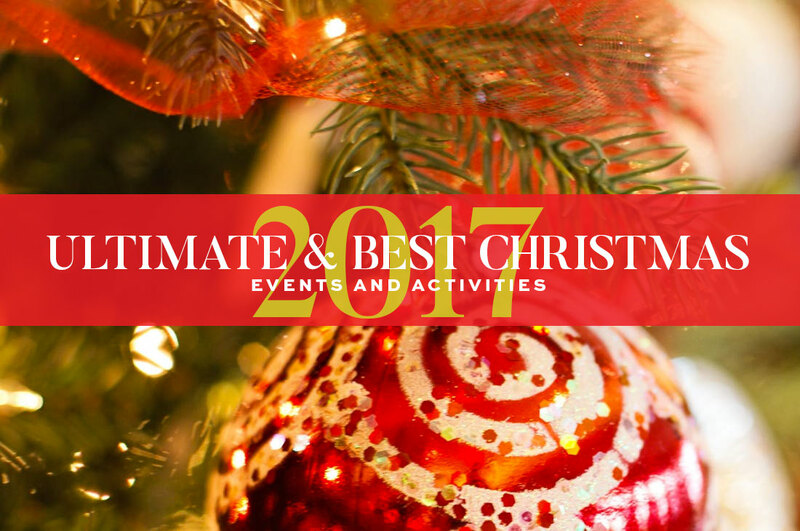 Activities include ice carving, snow hills, local choir performances, snowman building, trackless train rides, fireworks, a very special appearance by Mr. and Mrs. Santa Claus, and more! Magical Winter Lights is a spectacular, larger-than-life festival that presents a fresh multicultural take on traditional holiday light shows. Let your imagination come alive as you enter the mesmerizing world of Magical Wonderland. From a whimsical forest to a mysterious pirate ship, Magical Winter Lights will guide you through a world you’ve only dreamed. 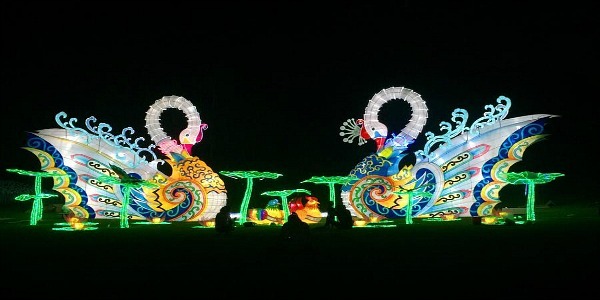 See magical sights and lanterns that will take you to another world where you just might lose yourself. 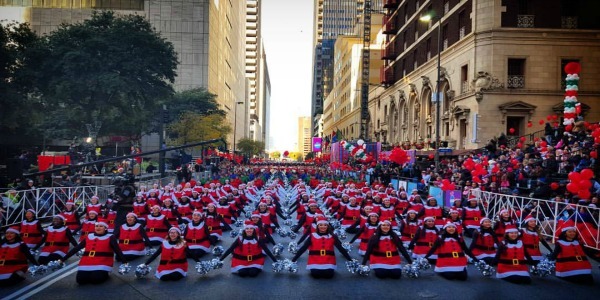 The Christmas Capital of Texas: 200 South Main Street 76051 Come to the Christmas Capital of Texas for over 1400 events and activities for the entire family. 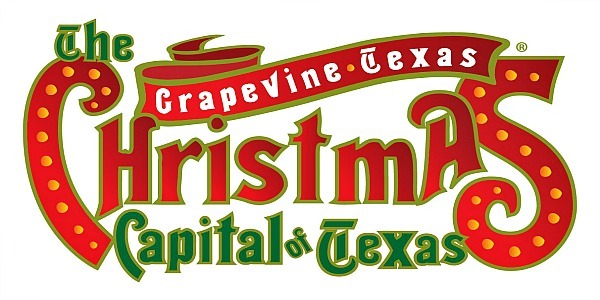 See Grapevine sparkles with millions of lights, enjoy massive decorations, animated characters, and much more! 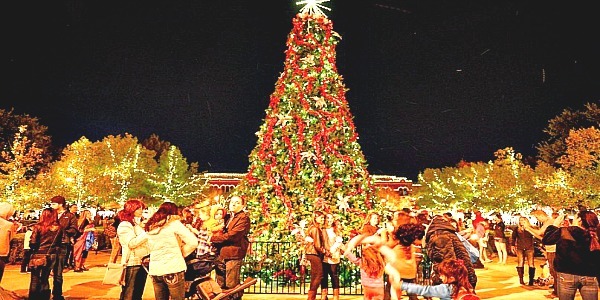 Christmas in Grapevine is sure to become a treasured family tradition! November 24-December 23, 2017 SOLD OUT! 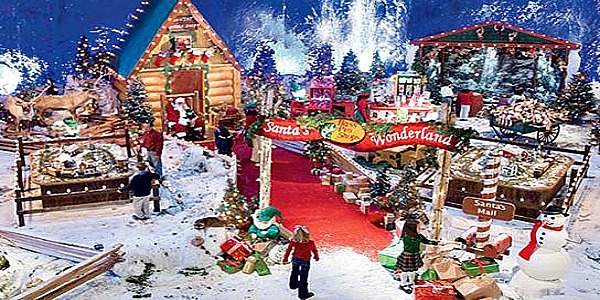 Santa’s Wonderland is more than 3,500 square feet of holiday magic and fun! 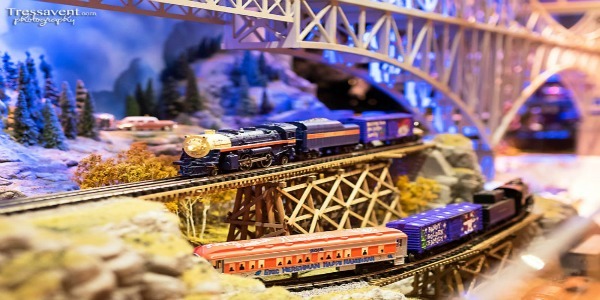 With old-time model trains, arcades, carousel and free crafts every week. 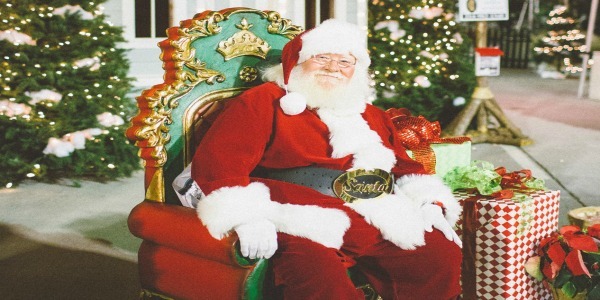 Get a free 4×6 photo and personalized digital Christmas card with Santa. 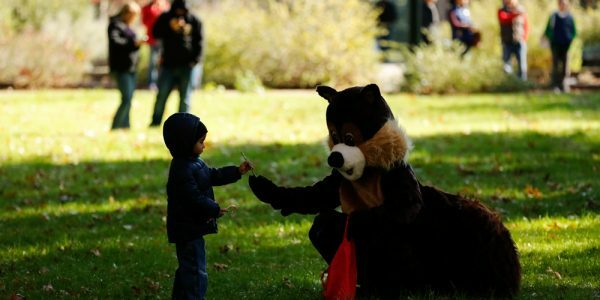 Enjoy the magic of the season with a visit to the North Woods. 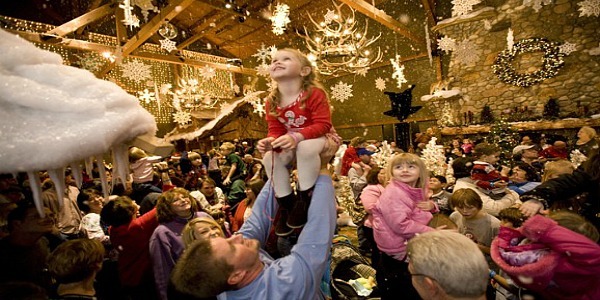 During Snowland!, guests at this family-friendly resort will experience an 84-degree indoor waterpark along with special visits from Santa, North Pole University activities, holiday carol sing-alongs, a life-size Gingerbread House, Santa’s Letter-writing Depot, daily Polar Wolf Walk, Great Clock Tower holiday show and a nightly Snowland! Story Time…all this and more with an indoor snowfall – right in the lobby. 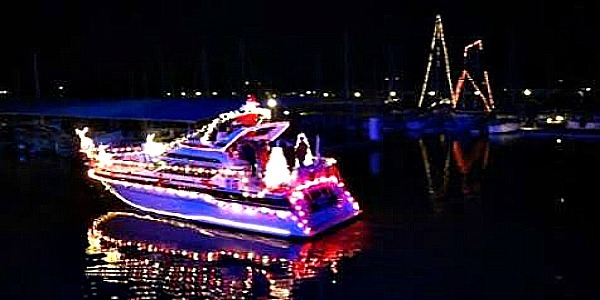 It’s a floating festival of lights on Lake Grapevine with a parade of boats decorated in their holiday finest! 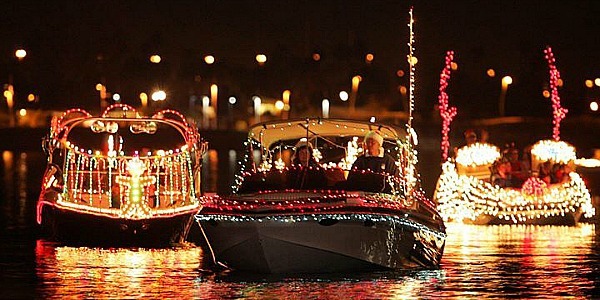 This lighted boat parade starts at Twin Coves Marina and picks up entries at each marina, Scott’s Landing and Silver Lake, as it circles the lake. Just because you didn’t purchase your tickets way back in July for all the train ride fun at Christmas time, doesn’t mean you’ve completely missed out on the excitement. 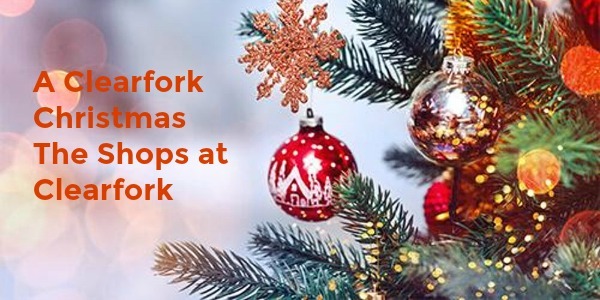 Still looking for something fun to do during your holiday break? 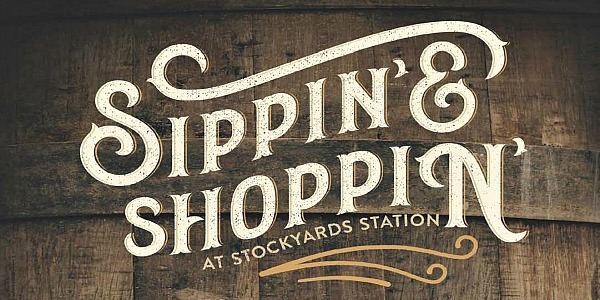 Hop aboard the train with daily train excursions to the Fort Worth Stockyards. These tickets are NOT SOLD OUT! 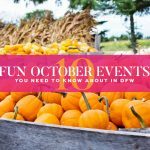 Old Town offers a day of fun family events including ice skating, pony rides, inflatables, community performances, and Lewisville Lights! tree lighting ceremony. 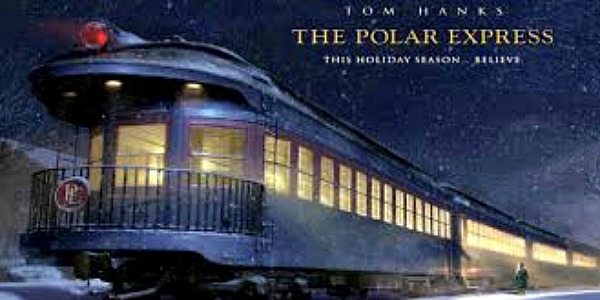 End your evening with a screening of “The Polar Express”. 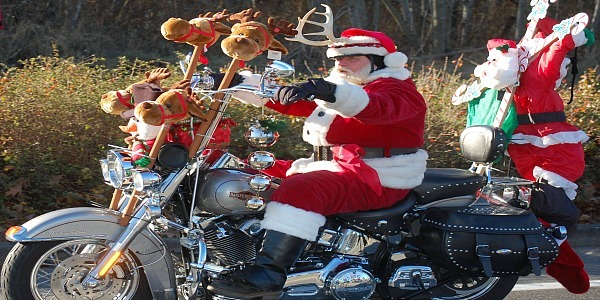 Begin your fun filled morning with the Motorcycle Toy Run where as many as 1,000 riders are expected to participate in collecting more than 1,000 toys for local children’s charities. 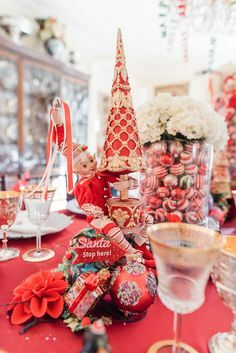 Santa will be on hand for photos and ornament making activities. The afternoon ends with the annual parade at 12:30 PM. Thanksgiving weekend marks the 37th year for this hometown Christmas celebration. 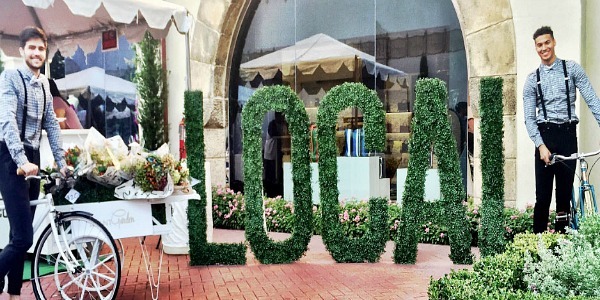 Visit the 14-block area of McKinney’s 165-year-old commercial historic downtown for family activities, food, and entertainment. 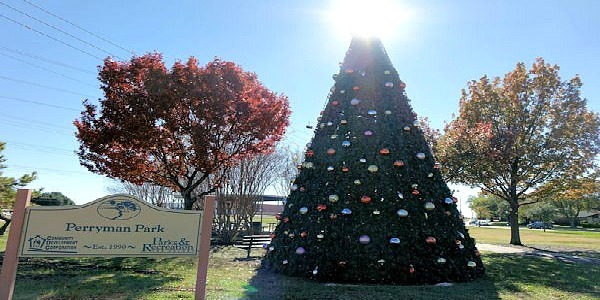 Enjoy a uniquely McKinney Christmas celebration with neighbors and visitors from near and far. It’s an unforgettable experience and a great start to the holiday season with entertainment, children’s activities, and of course, Santa! 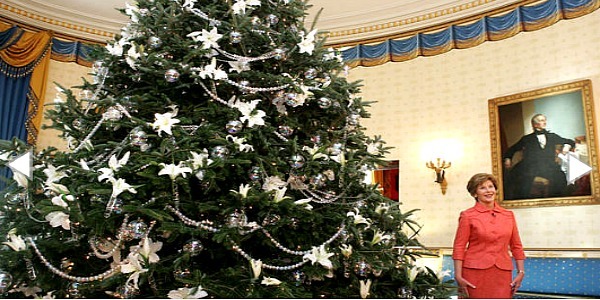 Tree Lighting is November 24 at 6:15 PM. 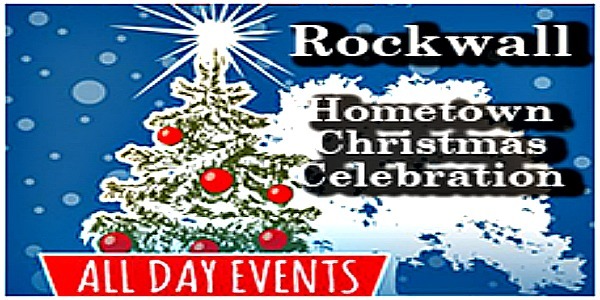 Celebrate the season in historic downtown Rockwall. The day begins at 9:00 AM with the Kiwanis Christmas parade celebrating the “Spirit of Rockwall”. 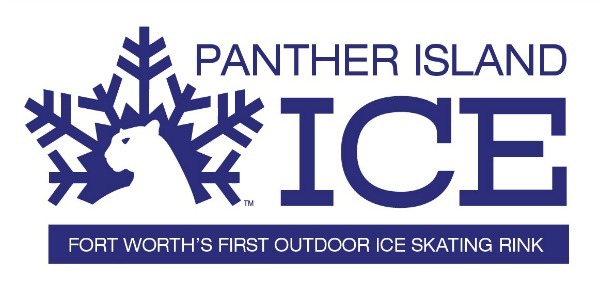 After the parade, enjoy snow hill tubing, bounce houses, live entertainment, food trucks, and much more! The day of celebration will conclude with the Christmas tree lighting ceremony, cookies, hot chocolate, and craft workshop. 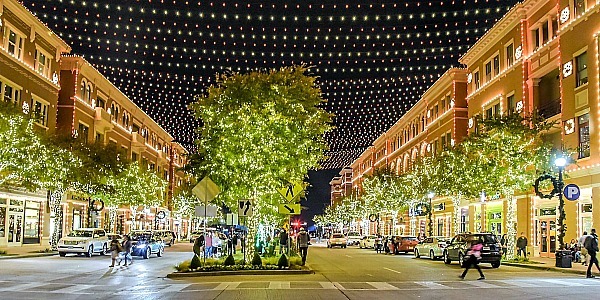 Southlake is the perfect place for your holiday days and nights! With fun things happening throughout the holiday season, there is no better place to see lights, visit with Santa Claus, send letters with your wish list to the North Pole, ride in a horse-drawn carriage, taste delicious holiday fare and fill up your car with items on your shopping list! The full schedule of events HERE. 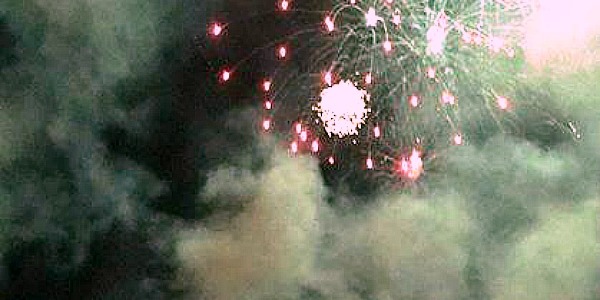 This annual event will make its way through town with a bang. Enjoy all-day activities in and around town with Santa at the library and a light show at the fire station. 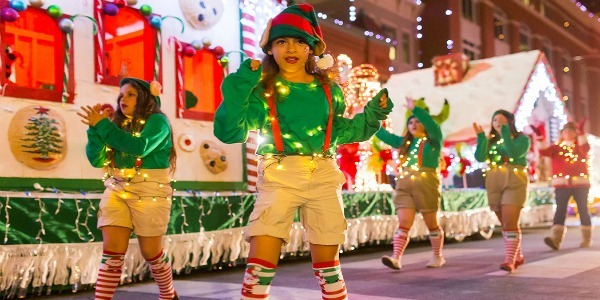 The Parade of Lights will end at the park and feature festive holiday music, performances, holiday carnival games and rides and a holiday baking contest. 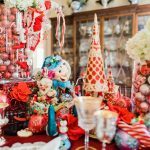 Get into the Christmas Spirit as you tour this festively decorated castle. This event is free and kid-friendly. 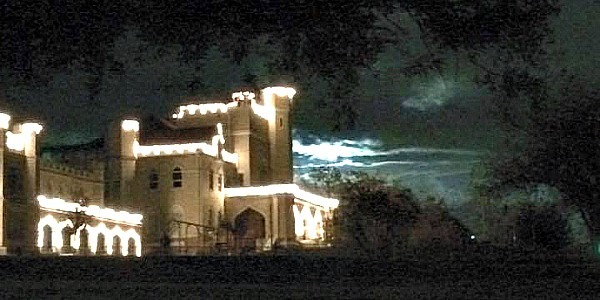 Bring your camera and explore the Texas Pythian Home during Christmas at the Castle. Well, folks, I hope you enjoyed this laundry list of fun. If you feel like I missed something, check my ULTIMATE and BEST Christmas Lights Displays in DFW for 2017 post. Epic Helicopters is giving away an aerial Christmas Lights tour for two. 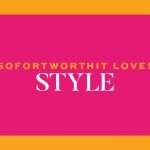 Oh, and don’t forget to subscribe to SoFortWorthIt via email, so you NEVER miss a fabulous GIVEAWAY and follow me on Instagram for all the pretty things! Have a very Merry Christmas, Happy Hanukkah, and fabulous Holiday Season!!! !